• Victors Classic Alumni Flag Football Game at 11AM. 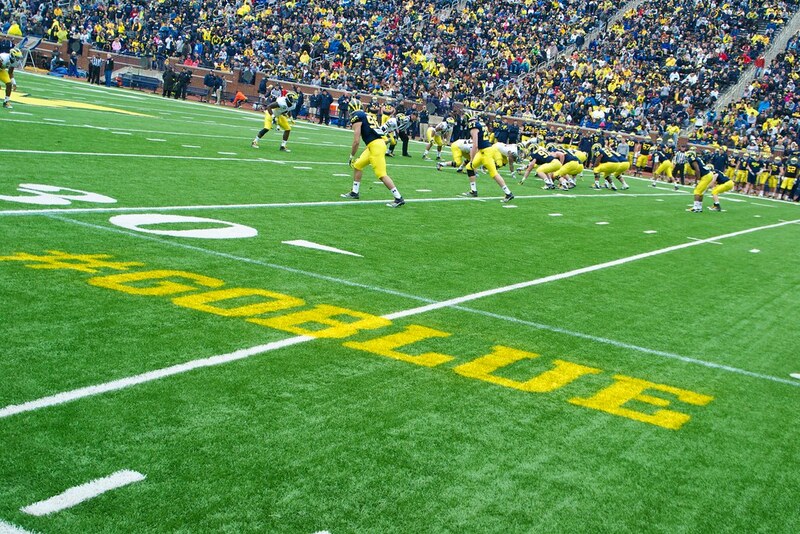 • Michigan Lacrosse vs Ohio State at Michigan Stadium at 3:30 PM. As always, admission for everything is free. Parking however, it not. Pioneer HS will be available for a fee. You can probably find free parking in pockets around the stadium, though. Also, since I've heard some rumblings, there will not be autograph availabilities. That only takes place at the fan event in August. Can't attend the 2013 Spring Game? Donate now at http://mottchildren.org/spring-game/. Weather is always hit or miss, and right now it's way too early to predict how it's going to be. A sunny day in the 60's would be ideal. If that happens, a record crowd is likely. If it's a good chance of rain and high-40's, probably just the die-hards will make it out. We'll be there covering the event, so follow me on Twitter for the latest updates.